There’s no doubt left that Pinterest is a big player in social networks when it comes to generating revenue for online retailers. It has become a top source of referring traffic, surpassing both Google+ and Twitter in the amount of traffic sent to websites (Source: Shareaholic). Understanding its own importance, Pinterest has unveiled changes that will improve the connections between businesses and users. In terms of usage, nothing. You’ll be able to pin, like and comment as per usual. However, your business will be able to improve its branding and authority through a number of new features. You will be asked to then get started as a business. 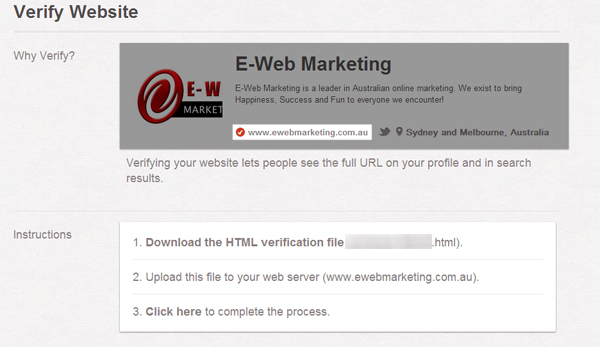 The first step is to verify your website. The process is very similar to verifying your site with Google Webmaster Tools or Bing Webmaster Center. You will be asked to download a file and upload it to your businesses domain. Becoming a verified account on Pinterest establishes trust and authority with Pinners, and allows users to see that you are, indeed, the official page for your brand. 3. New ways to showcase your wares! Instead of the normal pin and follow buttons, there are now Profile Widgets (which will display up to 30 of your latest pins) and Board Widgets (where up to 30 of your selected board will be on display). It’s not a case of one or the other – both widget codes can be used with different purposes. For example, you may choose to show your latest pins on a general area such as the homepage or blog, and then choose to display a board widget based on product category. By converting to a business page, you will also receive updates to content specifically for businesses to help you understand and reach your audience in new and more powerful ways. Understandably, Pinterest have updated their conditions of use – creating new terms of service that have been adjusted from the standard user terms. To see how your content will be affected, it’s a good idea to get yourself familiar with their Business Terms of Service page.